Uplifting for depression and low energy and stress relieving. Bergamot Essential Oil has been show to inhibit herpes simplex I virus which causes cold sores. It has also been used to treat cystitis and UTIs. It can be used in the very early stages in a bath to prevent the infection from spreading. Bergamot is a known carminative useful in relieving colic & indigestion. The most well known use for Bergamot Essential Oil is for the nervous system. It is known to be sedative but also uplifting and is one that is used for its antidepressant activity. Citrus bergamia is a small tree that blossoms during winter growing to 16ft. The leaves are dark-green ovate with fragrant star shaped flowers. The small fruit is picked while unripe and still green. The fruit is not edible because the pulp is too sour. 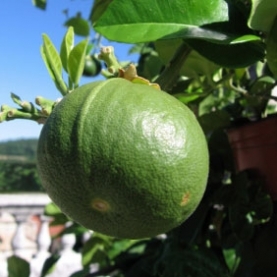 Citrus bergamot is commercially grown in souther Calabria in southern Italy. Bergamot essential oil is great to use when we want to start anew. Bergamot wants us to succeed. Bergamot is cheering for us, helping to instill confidence in every ounce of our being. Bergamot helps to clear out from our cells the "old" energy, helps us transform ourselves, recreate ourselves and regenerate. Extremely Phototoxic - Please avoid direct sunlight or sun beds for 12 hours after applying Bergamot essential oil to the skin... Serious skin burning/damage can occur if Bergamot is used on the skin and then the skin is exposed to the sun or a tanning booth. Bergamot must not be applied to the skin undiluted nor undiluted in a bath. Bergamot (FCF), which stands for "furocoumarin-free" is bergapten free and is not phototoxic. 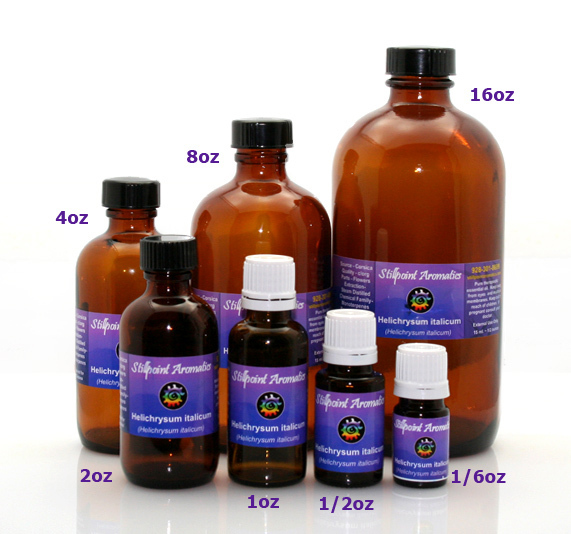 It may be used safely on the skin in a blend at no more than .4%... See Essential Oil Safety by Robert Tisserand.